Pride of Maui is one of Maui’s most respected boat tour companies with nearly 40 years of expertise in the Hawaiian Islands. 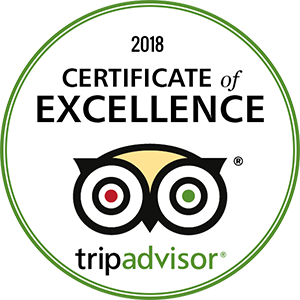 Pride of Maui, one of the island’s most popular and established boat tour companies, with nearly 40 years experience, today announced that it has received a TripAdvisor® Certificate of Excellence. Now in its sixth year, the achievement celebrates hospitality businesses that have earned great traveller reviews on TripAdvisor over the past year. Certificate of Excellence recipients include accommodations, eateries and attractions located all over the world that have continually delivered a quality customer experience. As our name implies, we are proud to be recognized for providing exceptional service to our guests. Our primary focus is the “Guest Experience”, in our pursuit to be the highlight of your vacation memories. “With the Certificate of Excellence, TripAdvisor honors hospitality businesses that have consistently received strong praise and ratings from travelers,” said Heather Leisman, Vice President of Industry Marketing, TripAdvisor. “This recognition helps travelers identify and book properties that regularly deliver great service. TripAdvisor is proud to play this integral role in helping travelers feel more confident in their booking decisions.” The Certificate of Excellence accounts for the quality, in their booking decisions. The Certificate of Excellence accounts for the quality, quantity and recency of reviews submitted by travelers on TripAdvisor over a 12-month period. To qualify, a business must maintain an overall TripAdvisor bubble rating of at least four out of five, have a minimum number of reviews and must have been listed on TripAdvisor for at least 12 months. This website has led me to have the best possible Maui trip. I started out with the sunset cruise which was great, and I’ve followed their suggestions on restaurants and hikes and have not been disappointed. Very grateful that I found this site as it made my trip absolutely amazing. In one world spectacular! We went out with my wife’s younger sisters 6 and 11. The staff were super friendly and safety was their first priority. We were lucky with a day of great weather with barely a ripple on the water. When we arrived at our destination we were not disappointed! An abundance of beautiful fish and the lifeguard out in the water with us helped everyone see what we had come for, sea turtles. On the way back in they served a really nice BBQ lunch with fresh salads and a few brews to wash it all down. Would highly recommend these guys for a great experience out on the water. Money isn’t everything but value for money was great. 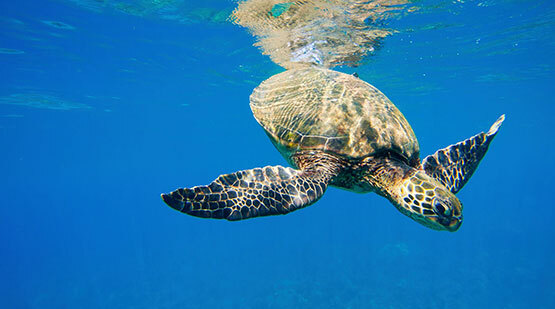 The best morning snorkeling trip on Maui. They start out of Maalaea harbor and you can indulge immediately in muffins, sweet rolls, juices, and the unbelievable view en route to Molokini. They have all the snorkeling equipment you need, including floaters. Also, have SNUBA for non-certified divers and SCUBA gear/air for certified divers. After some time in the crystal clear Molokini water, come back aboard for a scrumptious open-fire lunch of burgers, chicken breast sandwiches, hot dogs, and endless beer and Mai Tai’s. Only catch: if you drink you can’t go back in the water. The crew has been there for years and is friendly and extremely helpful. I’ve been on this trip 10 times and plan to go again when I’m on Maui in 2019. It’s one of the high points of my trips there! Annie Matsumoto went out of her way to make sure our wedding rehearsal dinner cruise was outstanding. We were notified just days in advance that our ship was in dry dock and the musician was sick. Annie had already found us a larger newer ship and a replacement musician. The cruise staff was simply outstanding and made the experience for all 85 of us a forever memorable event. Thank you so much to all of the crew and Annie for going above and beyond our wildest expectations! Second time enjoying the Sunset Cruise. It does not disappoint. 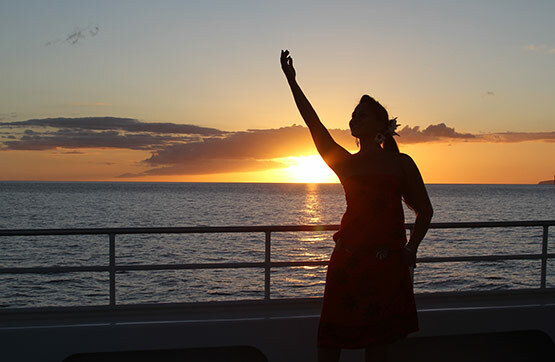 Great boat, amazing crew and a stellar view of a Maui sunset. Drinks are healthy and the dinner is yummy-what more do you need! We really enjoyed this cruise, which took us to 2 different locations for snorkeling. At the second location, we saw 2 sea turtles and were able to capture them on video using the camera we rented from the boat. It was an amazing experience! The boat was very comfortable and they offered a light breakfast when we came aboard, as well as lunch of cheeseburgers and salad. The cruise also included drinks from the bar while at sea. This was a great day out for our family! We had a group of 9 who went out on the boat.. the captain was super informative and the staff was so helpful and sweet! We loved the snorkeling – saw tons of fish and turtles and the whales did not disappoint! Pride of Maui was recommended to us and we will recommend them to our friends traveling to Maui! The Pride of Maui is THE most incredible snorkeling/snuba. We enjoyed a nice breakfast, fantastic lunch, snacks, and drinks (all inc in price), gorgeous views, even saw a few whales and turtles! The Molokini Crater and Turtle Town snuba was incredible. We saw turtles, fish, coral, and gorgeous water. The instructor was fun and helpful. The photographer took great pics and we got several with our go pro (you can rent one from them if you want). And the snuba sooooo fun. If you like to snorkel SNUBA is 10 times better. We went down to about 20-25 ft for about 20+ min both times and it was just a beautiful world down there! Try it!! Five stars isn’t enough. Need more stars to rate this business. We took the morning cruise to Molokini and had a fabulous time. The crew is what makes this trip so enjoyable. Not only are they super friendly and engaging, you can tell they are having fun with their job and passengers. It’s like they treat you as part of the crew. Always open to questions. Very sympathetic and helpful to the small number of passengers who didn’t take well to the wavy ride. And they’ve got to be the hardest working crew in Maui. The morning snack was great. Lunch was even better. The gear is high-quality. Cocktails for the sail back to port. The captain was very knowledgeable, funny, entertaining. And even with a very large number of people on the boat, it still felt big with plenty a room to spread out. We highly recommend at this company. We will cruise again with them on return trips to Maui. Crew was very helpful and wanted to make sure each and every one of us had a great time. They were attentive to our needs and quickly responded to questions we had. The crew even offered to help assist us into the water. Our son, who is a VERY picky eater stated the food was the best he had on the entire trip! The pride of Maui does a private charter of the marathon runners after the Maui Ocean front marathon. If you run the marathon or the 10K make sure you sign up for this cruise. All runners, so not a whole lot of drinking but much eating. Would go back in a heartbeat. In a word…Spectacular! We booked this simply for the sunset and actually thought we’d go get dinner post the sunset tour. However, once we saw the food, we decided to eat on the boat and it was very good. The overall experience was very good, a beautiful sunset, a good meal with plenty of drink. We enjoyed sitting on the upper deck, admiring the west Maui vistas and loved the sunset. Overall, this exceeded our expectations. We had a great, fun day with the kiddos, enjoying this great snorkeling trip to Molokini and Makena Beach. Sierra, Josh, and the Captain, are great people who truly care about what they do, have fun, and are approachable. We enjoyed the trip thoroughly. Having a large group ranging from 70 years to a 7month old infant, this was a great experience for everyone. Very glad we did it. We had a great time spending a few hours on the water. The crew of the Pride of Maui was great – very friendly and helpful. The cocktails and food were good and the cruise had a laid back feel as passengers could roam around. The cruise was around 2 hours which felt like the perfect amount of time. Awesome tour! Staff was wonderful, snorkeling unbelievable, good food and drinks at the open bar. Well worth the money and time. Would highly recommend. Through exhaustive searching for months and coming close to our wedding date with no real plan yet, we contacted the amazing people at POM and became a lifelong customer. They took care of everything at an extremely reasonable cost compared to everyone else on island. The boat looked amazing, my wife and I were crying and the staff is the best. When I say, took care of everything, I mean the only thing I had to do on my own was book a DJ (a friend) and our pastor. We talked to everyone on island from beach houses, golf courses, and other boat companies. We put all of our trust into them and they did not disappoint in the slightest. Highly recommend if you’re thinking of booking a wedding on a boat. I only wish I could post some pictures with my review. My husband and I did this trip two years ago and had a great time. Two years later, we’re doing the same trip because of how amazing it was the first time. Amazing staff, great food and filling, awesome snorkeling. They have everything you need. Such a great trip, we will ALWAYS AND ONLY go through Pride of Maui! The staff was very professional, outgoing, and funny. They helped a lot when my kids went out snorkeling and made sure everything fit them before they got into the water and even when they were in the water, checked to make sure we were doing good. First class excursion! Be sure to sign up for the Snuba! The Snuba instructor took his time with my youngest making sure ALL of us had a great time. Showed us some great underwater creatures. The food and drinks were great. The pictures and videos the photographer took blew our minds! The most incredible snorkeling I have ever experienced and wonderful service. The wetsuit and camera equipment upgrades made the experience even more perfect and the food was tasty also. Mahalo! This was a great tour, we got to snorkel at Molokini and Turtle Town. We had so much fun swimming with turtles. We have done snorkeling trips before, but never seen so many turtles. The boat was great, the crew exceptional, lunch was tasty. The cocktails on the way back to the harbor, were a nice way to end the tour. Would definitely recommend this tour. Pride of Maui was awesome. We were lucky and saw a ton of whale activity. The captain gave lots of great information about the whales and island. I am not a big fan of snorkeling, but I am so glad I got over it. Crystal clear water and tons of fish in the crater. My husband, who has snorkeled and scuba dived all over the world, says it was the best snorkeling ever. The food and drinks on the return trip were good for being served on a boat. The meeting spot is kind of hidden and we had to wait for about 30 minutes to board, but totally worth it. Our family had an amazing time on our afternoon tour. The staff was professional, helpful and very attentive. We felt welcomed from the beginning. All our questions were answered and needs met. We learned a lot about the humpback whale and had several sightings. The snorkeling experience was awesome, even for the 3 of us who were total newbies! Both kids, ages 12 and 10, wanted to do it again. Thank you, Captain Jason and crew, for making our experience unforgettable! This was our first snorkeling excursion and we had such a great time! We went to Turtle Town first and then to Molokini. The water at Molokini was crystal clear and the most amazing shade of blue. The crew was so helpful and friendly. I would highly recommend to friends and family! Great trip – I definitely recommend snorkeling at Molokini as the water is so clear! Turtle Town great too – we saw two turtles 🙂 The crew were very friendly, there was plenty of room on the boat, and the food was good. They have a continental breakfast when you board, a bbq after you leave Molokini and drinks after Turtle Town. I felt this was a good value. BEST CREW EVER!! Thank you, Pride of Maui for such an amazing family afternoon! Sierra and Makana were so incredible with my 10-year-old. If not for them she would not have snorkeled or gone down the slide. The food was also delicious as well as the Mai Tais and cookies. Whales whales whales galore! Snorkel trip to Molokini, look no more, this is the one to pick. Worth noting is the warm fresh water shower to rinse off after snorkeling. Pride of Maui has thought of it all! We did the three-hour Snorkel/whale watch tour. The winds were up so the ride was a little bumpy. The Captain found us a relatively calm spot to snorkel. We were in the water for about 40/45 minutes then off to look for whales. The Captain and crew were outstanding. A lunch was provided which was very good. My opinion was this is a great value for the money. Book online to save some money. Will go out with them again while we are here. What an amazing experience. Captain Tiffany and her crew were so awesome! We were lucky to be in Maui during whale mating season so we saw a lot of them. The snorkeling was gorgeous and we were all amazed. My 6 year old could be heard squealing thru her snorkel mouthpiece. She loved it as did the rest of us. The food was great, crew amazing, and scenery…well, it is Maui. You can’t go wrong! The 1:30-4:30 whale watch/snorkel trip was the PERFECT amount of time to do it all. We would highly recommend this trip! Loved everything about our dinner cruise. Crew was professional, food absolutely delicious, and the 6 or 7 Pacific Humpback whales were amazing. Talk about feeling in touch with nature! Was an incredible way to end our Christmas vacation in Maui. Will definitely do this dinner cruise the next time we’re here. This tour delivered in every way and I would certainly book a tour through them again. The staff was incredibly helpful and friendly; the boat was clean; the food delicious. On the way to snorkel the Molokini Crater and Turtle Town, we slowed to watch several whales. At the sites, we saw numerous fish. The staff pointed out a few sea turtles for us to enjoy. I came away with several great pictures. Quality experience all around. Taking a ride on the Pride of Maui was the highlight of our trip. My husband and I went on the afternoon snorkel trip. could not have had a better time. We spent quite a bit of time snorkeling with the colorful fish and other sea life. The lifeguard James was super nice and kept a good eye on us as we are not great swimmers. The food and drinks were fantastic! Captain Mat was very professional and welcoming. The whole crew was awesome and treated us like we were family! We had such a good time! I would highly recommend taking a voyage on the Pride of Maui while visiting the island! I don’t think I have ever experienced anything as beautiful as this sunset dinner and cocktail cruise. Heading into the sunset with humpback whales spouting their fountains in the distance and dolphins caprioling around the ship I almost forgot about dinner and drinks. This cruise is a must not just for anyone contemplating proposing or getting unlimited drinks at the open bar. It is for anyone who wants to experience the awe of nature and feeling in sync with the universe. I will do this again and again and again. The pride of Maui does a private chart of the marathon runners after the Maui Oceanfront Marathon. If you run the marathon or the 10K make sure you sign up for this cruise. All runners so not a whole lot of drinking but much eating. Would go back in a heartbeat. We took the sunset cruise since we’re not snorkelers. It was great! The crew was very attentive, the food good and an open and delicious bar. The sunset was beautiful. It was a lot more affordable than some other cruises and I liked that it was more casual. We had a perfect day on the ocean. The captain and crew were very patient (it was my first time snorkeling), friendly and helpful. Lunch was delicious. Would certainly recommend. 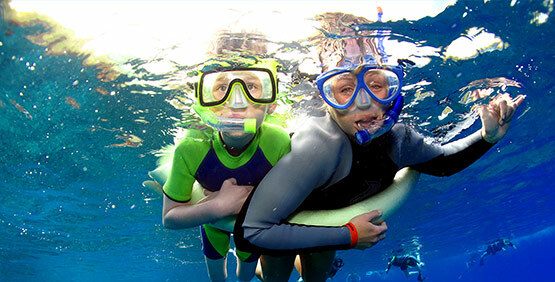 We have been on The Pride last year on another tour and wanted to try the snorkeling tour. What a great trip. Staff is amazing. Not just some staff but all of the staff. They all act like they want to be there! Good food, great boat, good snorkeling. You won’t regret going on the pride. Front of the boat has a slide and a dive platform. When you are tired of snorkeling use both and have some fun! The Molokini snorkeling trip was the best money I’ve spent in Maui! If you do one thing in Maui, book a tour with POM. The staff is incredibly friendly and helpful. We started off with a light breakfast and coffee. Then we cruised to the crater of Molokini, where we snorkeled for an hour. After that, we went over to a turtle cove where we saw 3 turtles. Lunch was served, burgers, hot dogs, and veggie burgers on request. After that, there was an open bar with local Hawaiian brews, Mai Tais, and other mixed drinks. On the cruise home, we saw whales (this is in December after all). I was very happy with this trip, and I recommend anyone on the fence about booking to do this. It was easily the highlight of our trip! My husband and I had done a similar excursion with a different company in the past and had a nice time. This time we with our kids and went with Pride of Maui and it was outstanding, they will blow any other company out of the water! The staff is knowledgeable and relatable. The food was great, the bar was awesome, and they have a videographer that takes pictures of you and your family while you snorkel and you can purchase them at the end. I wouldn’t recommend any other company after this experience, they were wonderful! Easy check-in process at the dock. Very organized and friendly staff. Took my kids on the Pride of Maui over Christmas vacation and it was great! The snorkeling was terrific and they even provided life jackets, snorkel gear, pool noodles, wet suits and de-fogger for the googles. The lunch was excellent. Great choices of burgers, veggie burgers, veggie tray, chicken and cookies. And we got to see five whales. So fun! I recommend this great Hawaiian adventure. Fun for the whole family. We booked an afternoon snorkeling trip. I can’t thank Proud of Maui enough for the great service and experience. They were super punctual. The boat, crew and the snorkeling spot was all amazing! Everything was perfect. They took us to paradise. The food was absolutely delicious, and the open bar is something you can’t complain about. The price was also excellent. 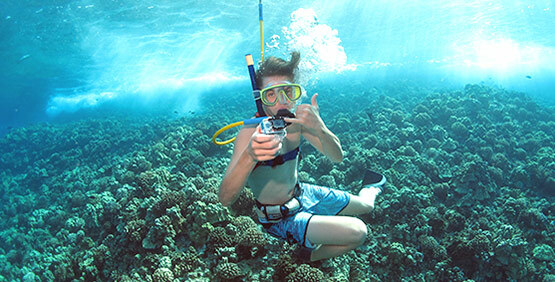 If you decide to do snorkeling, Pride of Maui is a must! It’s your best option. I recommend it 100%. A great way to spend the afternoon. Team was great, food was good and the whales were spectacular. We went snorkeling in an area south of Lahaina. Many whales did their best to show off. Did not want it to end. The staff did a great job. Wow! What great value for money. The crew was very helpful and professional. I had never snorkeled in my life and it was on the bucket list! Having a friend with walking issues we needed to go on a larger boat! The Pride of Maui fit the bill. We signed up for the next day’s trip on line! The confirmation gave excellent directions to their docking point on Maalea Harbor. We were allowed to park near the dock and after an efficient check in and safety talk by Captain Matt we were all aboard. We had a small booking which allowed us to move around and take pictures with ease. We saw whales near and far. Several full and three quarter breaches and one saw close to the boat. Captain Matt gave interesting facts along the way. The crew Amy and Carlos were so helpful. Amy took a picture of our group and even helped our friend to walk to pose! The bar was open as we left the dock and remained open for soft drinks, beers and Other cocktails. Carlos cooked up burgers, hot dogs and chicken which were served buffet style with sides. I had the Maui special which was huge! After lunch he brought around macadamia nut cookies! There was a grass fire on shore and we had an unexpected view of tandem helicopters dipped water from the ocean and dropping it on the fire. This tour was a highlight of our trip. We went on the 3 hour whale watch and snorkel cruise on Wed. March 2nd. Out captain and crew were super helpful and fun. The whale watching was incredible saw so many! And the snorkeling was perfect. They had a quick class which was awesome because my kids had never snorkeled before. Then they had a line of noodles strung on a rope between the ladders. So if you weren’t comfortable swimming you could hang on to the noodles and look down. This is where I taught both kids how to breathe and clear there masks. It was the perfect trip! Unlimited soda and water and adult beverages (after the snorkel) and lunch included. Just perfect! I would totally do it again if we had time! We had never really snorkeled before, so we were both a little nervous. No reason at all to be! They sat down with all the newbies and went over exactly what to do. They also offered wetsuits and rash guards for a nominal fee, which you should definitely go for, as they keep you warm and protect you from the sun. They had a photographer come around and take everyone’s photos in and out of the water, and you could also rent waterproof cameras to take your own photos. I liked snorkeling at Molokini a little better because the water was calmer and I could see all kinds of different fish. The sea turtles at turtle town were very cool, though, and the crew in the water kept an eye out and alerted everyone when they saw turtles. The boat also has a slide. That was awesome. I would do this tour again and again and again. Definitely put it on your itinerary! Their service is excellent! All the staff were extremely friendly and caring. They want to make sure you’re comfortable and are having fun. Food was pretty good. Ship was in a good size so you won’t get sea sick. The snorkeling trip was our best day on Maui. My husband and I had the best time. The Captain and Staff were excellent. The Hamburger was excellent. The drinks were nice and strong (you can always ask for a light pour but never a heavy one…). The bathrooms were very clean. The site we snorkeled at had kind of standard fish. We saw lots of whales and 2 breached just off the bow. I would do this one again! If I had to make a complaint it would be how many kids were on the boat. We didn’t think to see if there were and adults only trips. In our opinion….The BEST Whale Watching Tour on Maui. We took the 1:30 p.m. Trip. What made this company the best, in our opinion? CUSTOMER SERVICE EXCELLENCE ! The ship was larger than others which gave us better water stability on a fairly windy day. Included with our Whale Watching was lunch a great included with seconds made available. As well, the ship Captian gave great educational information about Whales and sea life all along the 2 hour tour. Also…the Captain moved frequently to get safely close to Whales and did not wait in one area hoping Whales would come to us. He was constantly searching…educating us..and helping us with personal needs and answering customer questions all along on tour. Special and Personal care was given to handicapped persons on board. A very hard working staff meeting needs of customers. Had an excellent trip last July. We went on the afternoon trip our last day. I had zero expectations as everything i read said the morning trip is the way to go. However, we lucked out and got to go out to Molokini, which i understand is very rare for an afternoon trip. Did i see anything that I didn’t see snorkeling near shore? No. But the water was peaceful (it was rough near shore on the south side then) and clear. The ride out and back was worth it for me. Looking forward to going out on the morning trip when I’m back in March weather and conditions permitting. I loved it! We chose the afternoon turtle snorkel tour because it was unique to what most of the other tour companies were offering: long excursions at high prices. We boarded at Maalaea harbor where a lot of other tours launch from. There was no announcement about where we were going or how many sites we would visit until we were approaching our first and only stop. My intention was just to be out on the water and snorkel a bit so I didn’t mind just being along for the ride, which was thankfully not crowded at all. The staff was SO GREAT. They were very friendly and accommodating the entire way from hello to good-bye. Every time I turned around they were catering to someone – from checking on people’s safety in the water to offering you more to eat or drink on board. The food (hot dogs, hamburgers, veggie burgers, pasta salad, raw veggies) and drinks (local beers, tasty mai tais and cheap wine) were enjoyable and readily available AFTER the swimming was over. Very highly recommended to people who want to take a trip on the water that feels safe and enjoyable but not have to pay as much or be out as long as the other tours. If you have a specific itinerary in mind, go elsewhere. Whales and sea turtles – awesome! We took the pm whale watching and snorkel tour. We saw the first whale right after only 10 minutes. In total we saw 4. It was early in the season so this was ok (we saw a newborn, which was great). Afterwards we snorkeled at the coral gardens and saw plenty of fish and snorkeled along a great green sea turtle. It was so awesome! The snorkeling gear was provided by the company and it was really good! After the snorkeling we had burgers and salad (was not great but okay). There was an open bar and the beers and mai tais were delicious. The whole crew was awesome and so nice! Can totally recommend that cruise! We didn’t have to wait for the food, drinks or getting in the water at all. A big plus was that there weren’t so many people on the boat (around approx. 70). We did the Molokini/Turtle Town tour and had a blast. We thought the crew was awesome, very respectful and courteous and always asking if they could get us something. They were also very helpful when answering questions and never made anyone feel like they were asking a dumb question or wasting their time. The food and drinks were also much better than expected. Everything was run orderly and on schedule. Couldn’t believe how clear the water at Molokini was and how cool it was to see Sea Turtles swimming around. Had a great time on the dinner cruise!! My kids loved it and really enjoyed pretending there were pirate ships around. Had beautiful 360 degree views and the crew was awesome!! Romantic for couples and still very enjoyable for families! Best thing we’ve done in Maui. The staff is ridiculously friendly and highly competent. There’s copious amounts of food for breakfast and lunch (all buffet style, continental) and an open bar on the return trip, plus we got surprise cookies. Everything you need is included for snorkeling and they keep lifeguards in the water with you at all times; we felt very safe. It was our first time snorkeling and we hit the water like fish ourselves. The foam noodles provided made it extremely easy to just hang out and look around. People who weren’t swimmers could wear a big yellow safety belt that kept them stuck on top. This is totally recommended. Molokini is well worth it for even experienced travelers. This evening my husband and I went on the Pride of Maui sunset cruise. We arrived at 4:15 pm. Andrea was setting up the check-in tables, and we were promptly checked in (after we signed a waiver). All of the passengers were gathering in the parking lot, Prior to boarding the boat, we were given some brief safety information by the Captain, Matt. We boarded approx. 5:00 pm. It was a pretty windy evening, but Matt advised us that he would head back into a cove eventually if the wind persisted. The bar opened as soon as the boat left the harbor (State law), and the service was prompt and efficient. About 30 minutes into the cruise, dinner was served. There was shrimp with cocktail sauce, strawberries, pineapple, Maui onion tarts (delicious), artichokes, chicken, and ribs. The ribs were delicious as well! Plenty of food for everyone! We eventually made out way into the cove that Matt mentioned, and the boat idled there to watch the sunset, which was PERFECT…what a night! We took tons of photos. We met a lot of very nice people, and everyone seemed to be having a great time. There were couples as well as a few families with small children. The music was just great, and a few people were dancing…especially enjoyed the addition of the music. Overall, we are thrilled we booked this cruise! We thought it was a very good value for the experience! Kudos to the crew! This has to be the best tour on Maui I’ve ever even on! I decided to take my son and a few of his friends to celebrate his birthday. The kamaaina discount was a pleasant surprise. I called in my reservation and it was offered to me. The staff on board were knowledgeable, professional & friendly. They were accommodating and yet not over bearing. On board was a professional photographer that captured priceless photos! I was at ease with the entire trip and relaxed for 5 wonderful hours. Breakfast included sliced fruit, muffins and pound cake. A hit with the children! Drinks were included. Lunch was served after we left Molokini. We had cheeseburgers, chicken sandwiches, hot dogs, pasta salad and cookies. The second portion of the trip was maybe the best for me. It was the calm area of Olowalu. The water was AMAZING!! Once the anchor dropped we were jumping in! The children over used that slide and we have awesome photos and videos. Super fun action shots! I lazily floated around while the children basically entertained themselves. By far the best party for my 11 year old so far. I highly recommend this company and the Molokini/Turtle Town tour. I will definitely book with Pride of Maui again.  Oh and bring cash if you want to buy the photo you take before you board. It’s $20 cash only. I am so glad that during our holiday to Hawaii we took a morning on the Pride of Maui. We pre-booked our tickets and SNUBA adventure for the morning breakfast/lunch/snorkel cruise. We had an amazing time! The entire staff was so kind, attentive, and knowledgeable. We went with my older parents and the trip was great for all physical levels. They did not snorkel, but were still able to see the amazing sights such as the Mokoloni Crater and watch fish off the side of the boat. We opted to do the additional SNUBA and it was worth every penny! Definitely bring your GoPro! Our SNUBA instructor, Justin, was THE best. He made us feel at calm and like we were pros. The second stop on the tour was so cool. We saw so many sea turtles! AH! It was so fun! And then to top it all off–we get back on the boat and mai tais and local beer! It was the best day. So glad that we built this into our time in Maui. Definitely recommend! Just don’t forget your sunscreen–and bring the lotion kind! They don’t like you to use the spray on kind because of the wind! We did the sunset dinner cruise. It was fantastic. The food was all homemade and was actually pretty darn good for buffet style. The bar was open and all premium cocktails. The bartenders were all very friendly very and made excellent drinks. The boat was very clean with adequate space for all the people. We saw some amazing whales and the crew was very knowledgeable about the wildlife. What made the cruise truly outstanding though was the sense that the crew truly cared. They would routinely come around and talk to each of the guests individually and offer to answer any questions or just to get to know them. As I mentioned the bartenders were super friendly. At the food line there was even somebody answering questions about what each of the food items were. This small sense of caring truly made the trip exceptional. This was not a booze cruise. Nor was it a super romantic couples cruise. There were some couples of varying ages, and some families. Everyone was respectful, enjoying themselves and all getting along. Oh yes and the sunset was spectacular. For us it was perfect. My wife and I loved the dinner cruise. I didn’t expect the food to be that great but it was pretty darn good. The chicken, ribs, and artichoke dip were awesome. The 2 bartenders were super friendly and helped me decide what to get when I was unsure. I’ve done dinner cruises before but never cared for any of them. This one changed my tune. My husband and I had a wonderful time on the sunset cruise. The crew is very personable and friendly, and the food was delicious. I really enjoyed the chicken, while my husband preferred the ribs. The view was amazing and although it was cold and a teeny bit rainy, it was still a wonderful experience. I was told that the upper deck is the best place to be if you get motion sickness (I do), and true to their word I didn’t feel nauseated at all. If that doesn’t help they have a wonderful ginger soda with fresh pieces of ginger in it available at their open bar. I would undoubtedly recommend this activity to friends. The sunset cocktail cruise was niiiice. We went out and the ocean was a little rough and it was kind of windy. Can’t control the weather so besides this, the food and drinks were awesome! I can’t complain about the open bar and the shrimp cocktail. The chicken was ono (delicious) and the atmosphere was relaxing and fun. The band played very nice music that could be danced to. We had the pleasure of taking a private charter on the Leilani. Our trip included snorkeling at Molokini and Turtle Town. The trip was the highlight of our time on Maui. The crew were very knowledgeable and helpful throughout the afternoon. They provided us with not only a welcome breakfast but also a delicious lunch including items grilled right on the boat. The snorkeling was exceptional and Tanya and Noah even got in the water and helped us find turtles and take pictures of marine life hiding in the coral. I would definitely recommend the Pride of Maui to anyone visiting Maui and looking for a private charter. They offer public rides out to Molokini but for our group we enjoyed the private charter setting. Making arrangements with Annie online was very easy and everything turned out exactly as described. Five stars for sure! 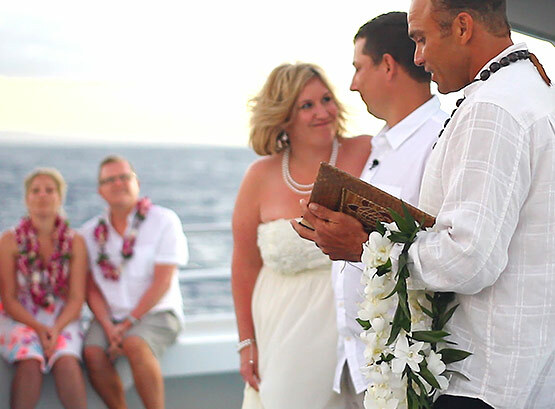 We spent my husband’s 50th birthday on a private charter and it was the highlight of our 10-day vacation in Maui! Our crew was TOP notch. Our captain, CJ and first mate Josh and Tori were awesome! First they took us to two excellent snorkeling locations –away from the crowds! We saw so many fish and turtles. There was even a small shark hiding nearby that someone was able to take a video of with their Go Pro. Josh and Tori were great guides when we were out snorkeling, showing us where to go and pointing out sea life. They took care of everything for us and were super nice and friendly — it made our day really perfect! We were even late due to an oversight and they still made sure we had a plenty of time for snorkeling and enjoying the time together. It definitely costs more to have a private charter but if you don’t mind the expense, this is a really nice way to have a boat to yourself and have a special day with your family or friends. We highly recommend this excursion!! Great tour, great crew. Very knowledgeable, we were able to see lots of fish, turtles, etc. This was my families first time snorkeling, and the crew was very helpful, and made us feel comfortable. They were accommodating in helping my son who has very bad eye site. They had prescription goggles on board. Food was good. I was very happy about the small group. I watched another boat loading with 200+ people, and was very happy that our group was only 35. Highly recommend this tour. This was our third snorkel trip with Pride of Maui and our second on The Leilani. We love going on Leilani because it’s a smaller boat and always a fun crew!! Our trip this year was blown out of Molokini but they took us to another spot that was good. You can’t fight Mother Nature!! This is a good time every time!! Thanks for the experience! !